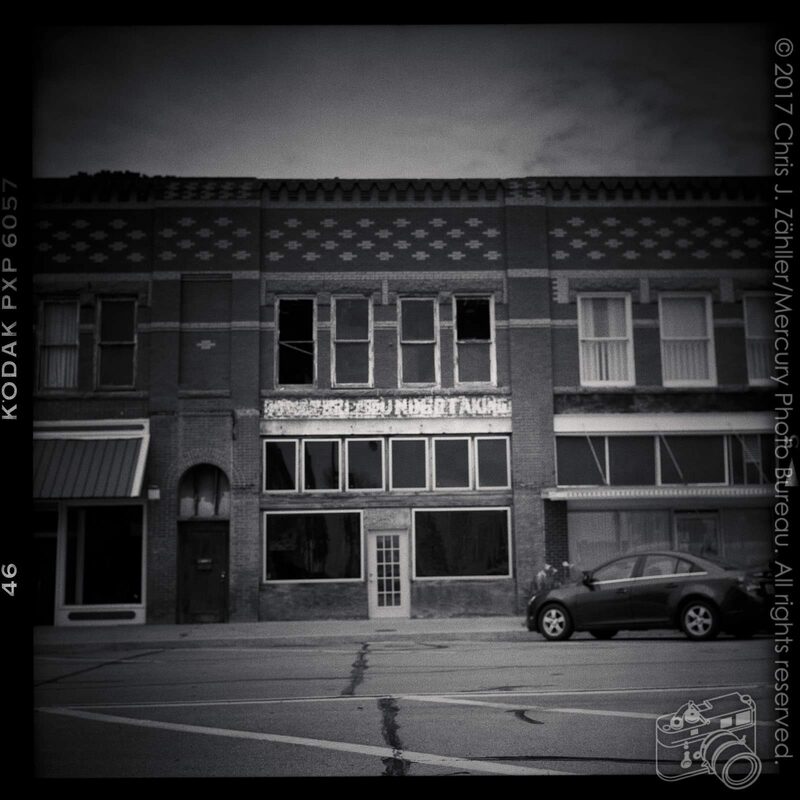 On the same week­end that Joe and I trav­elled to Roosevelt, we stopped to pho­to­graph sev­eral other small towns. 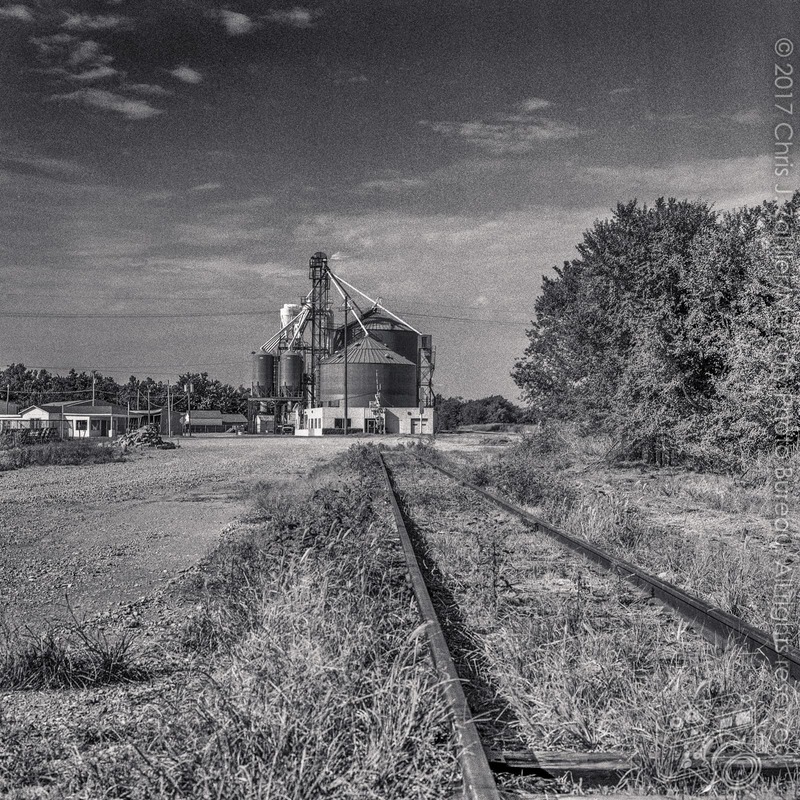 Our first stop was Tuttle, where I saw this gra­nary next to the rail­road tracks. 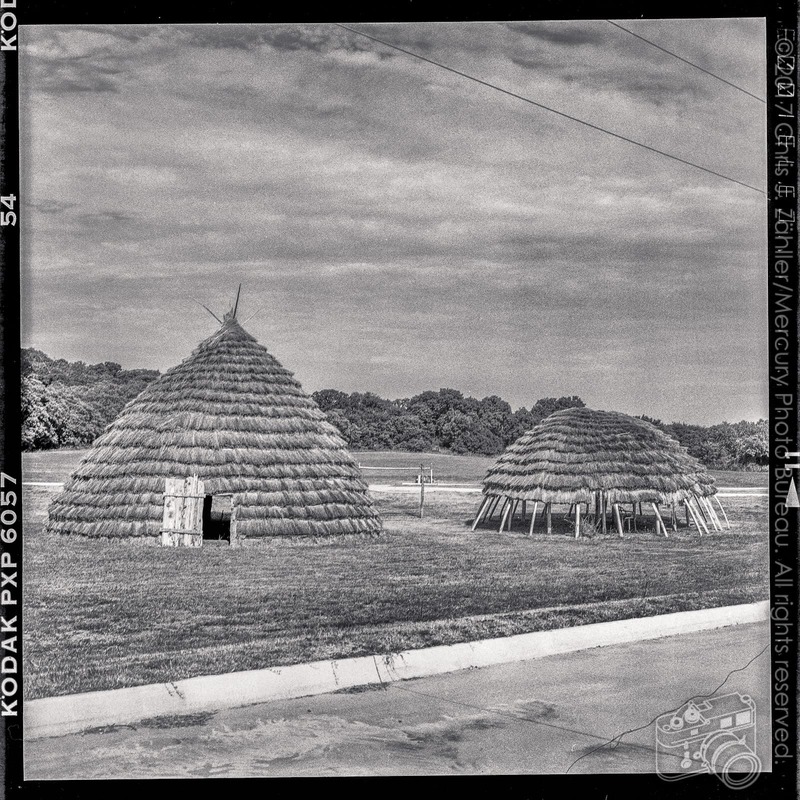 I also took a shot of it with a Leica IIIf, but for­got to pull out the col­lapsi­ble lens, so it’s prob­a­bly no good. We’ll see when I develop the film. 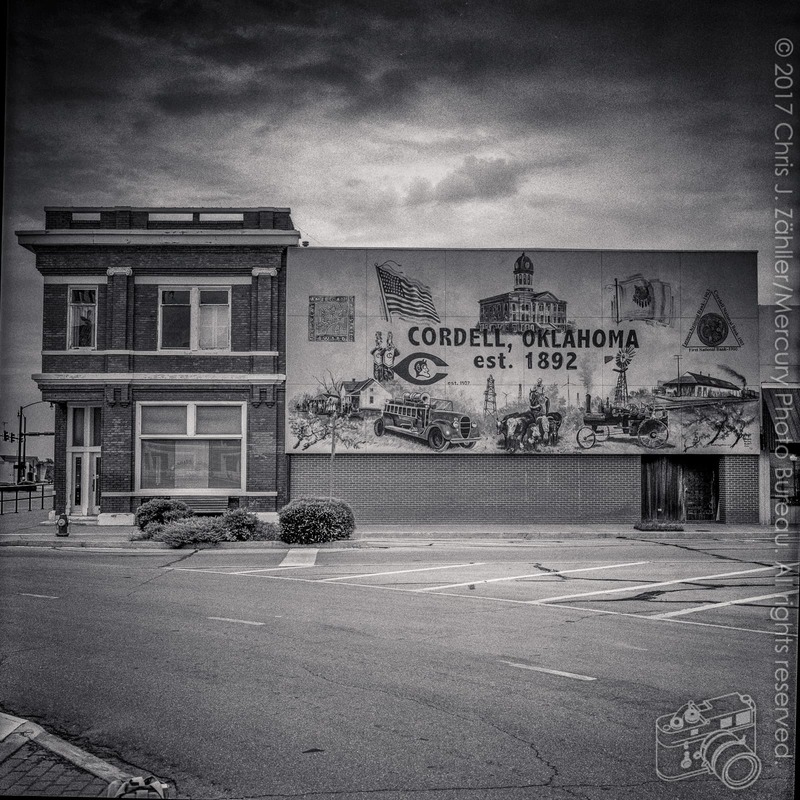 Next was Cordell, offi­cially called New Cordell since it moved from its orig­i­nal loca­tion in 1897. 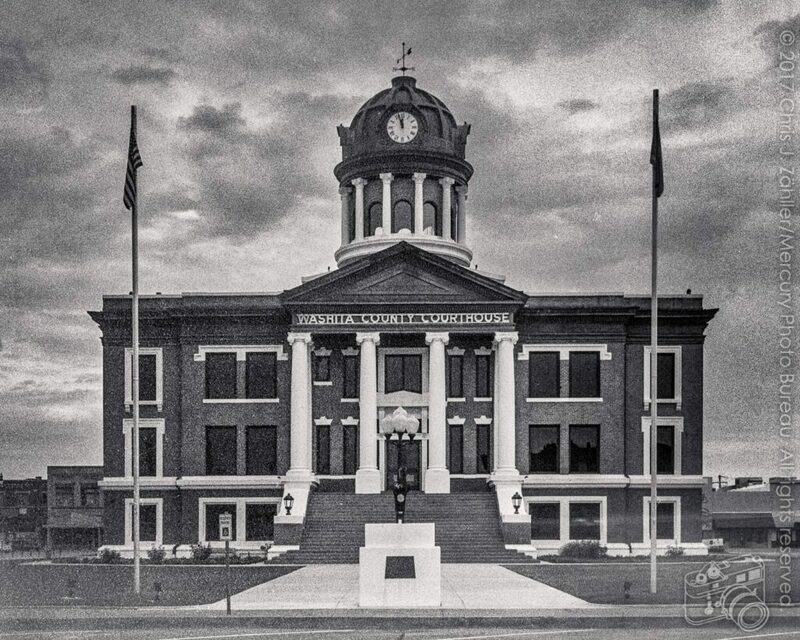 In 1906 it was declared the Washita county seat by an act of the U.S. Congress. After a fire burnt down the orig­i­nal county cour­t­house, Solomon Andrew Layton designed its beau­ti­ful replace­ment. 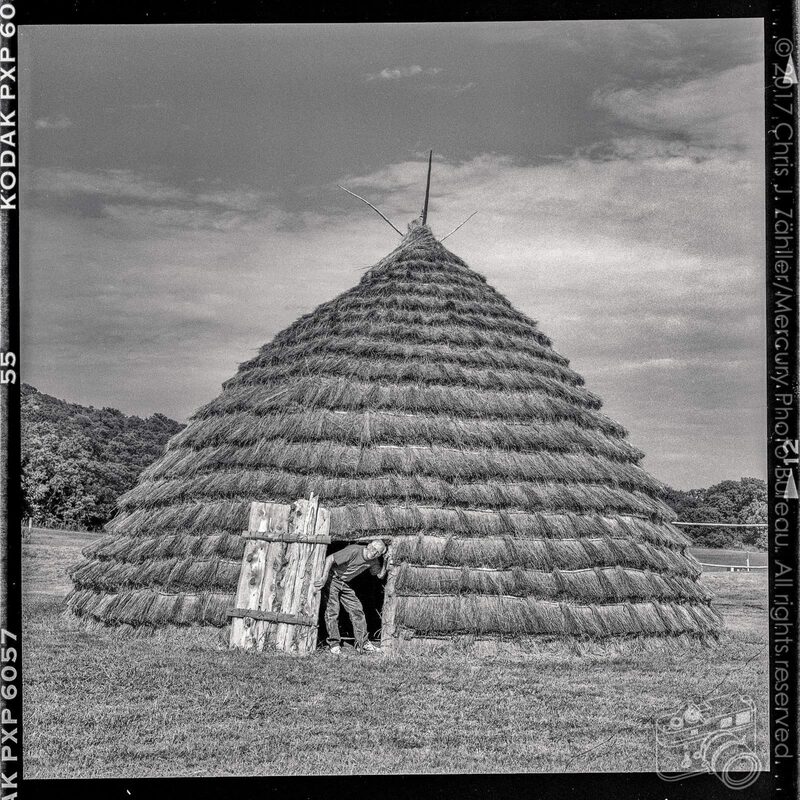 He also designed the Oklahoma state capi­tol build­ing. The cour­t­house sits on a his­toric town square. Also on the square is the Washita Theatre, an Art Deco movie palace recently restored to its for­mer splen­dor. After Cordell and Roosevelt, we started back home. Along the way we saw an aban­donded ser­vice sta­tion — at least, that’s what we think it is﻿ Joe and I later made a sec­ond trip to the cob­ble­stone build­ing. 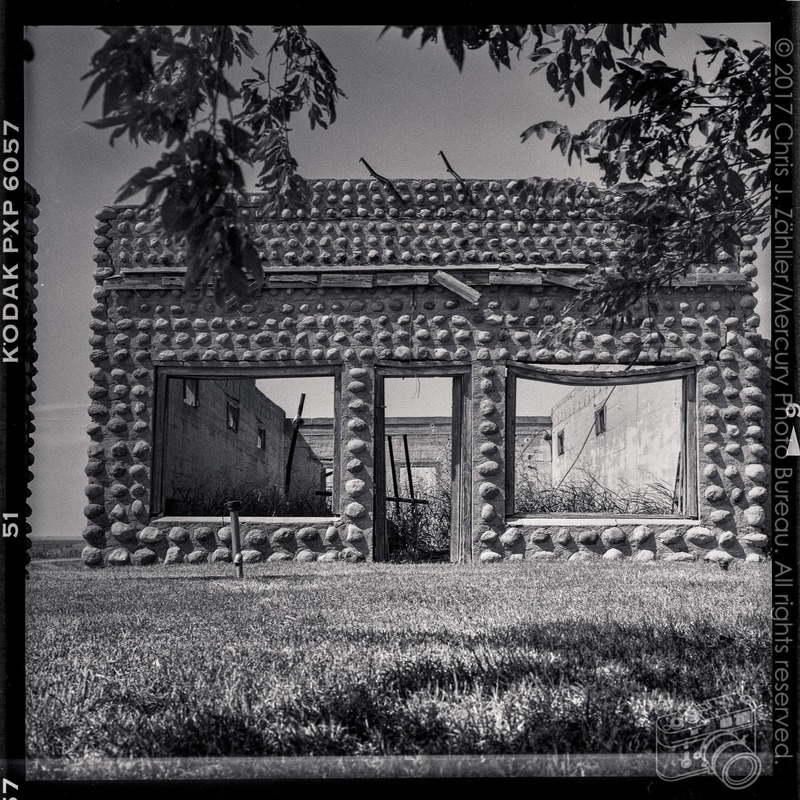 After we had taken more pic­tures of it we knocked on the door of the near­est farm­house to inquire about it. The old-timer who answered the door informed us that the build­ing used to be a gen­eral store; he then gave us an extended oral his­tory of the sur­round­ing coun­try­side. I reckon he spoke for a half hour or more before we thanked him and took our leave. — made from red gran­ite cobb­ble­stone brought from Medicine Park, some thirty miles away. Our final stop was just out­side Anadarko at the Wichita Historical Center, which is cur­rently at the cen­ter of a four-tribe land dis­pute. 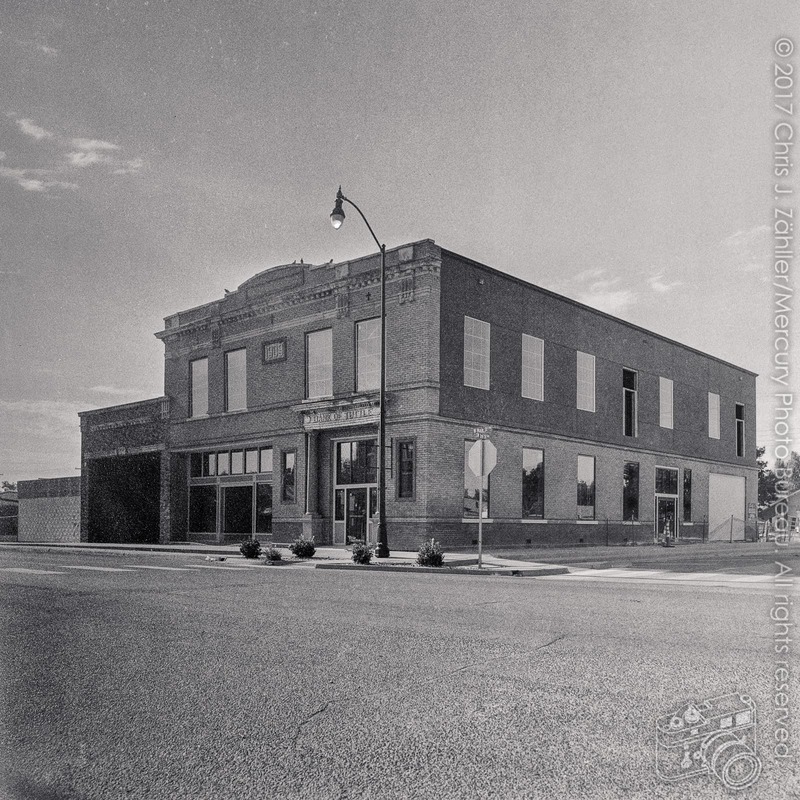 Former Bank of Tuttle, estab­lished 1909. After remod­el­ling, the site will reopen as an Edward Jones loca­tion. 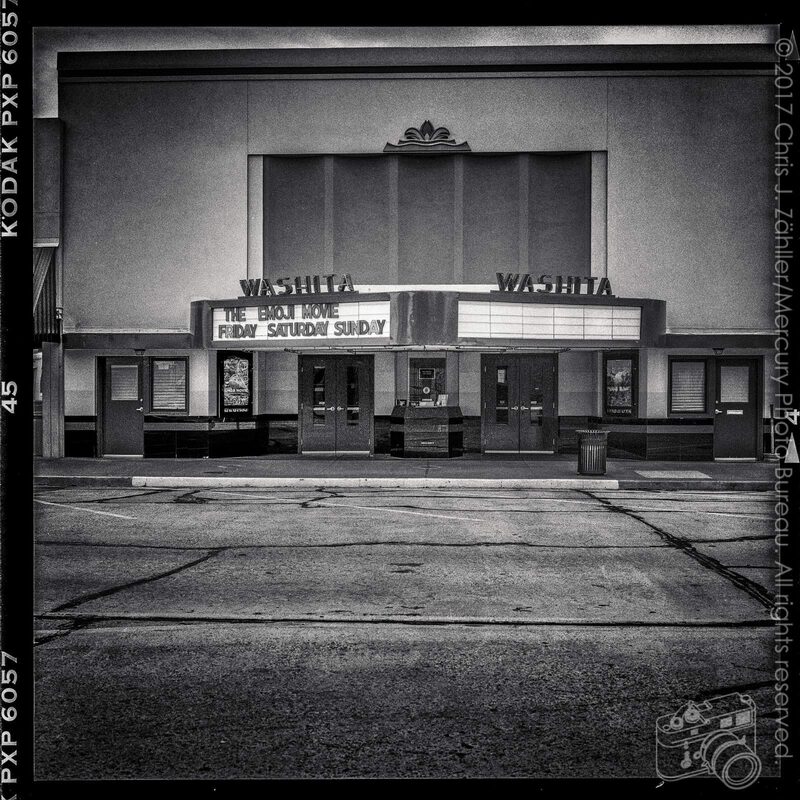 The Washita Theatre, a restored 1940s art deco movie palace located on the New Cordell, Oklahoma town square. The Griffith Company, which owned it, later copied its design when they built the Brauntex Theatre in New Braunfels, Texas. The the­atre exhibits 1st run movies on a state-of-the-art dig­i­tal pro­jec­tor with THX-certified 7.1 sur­round sound. 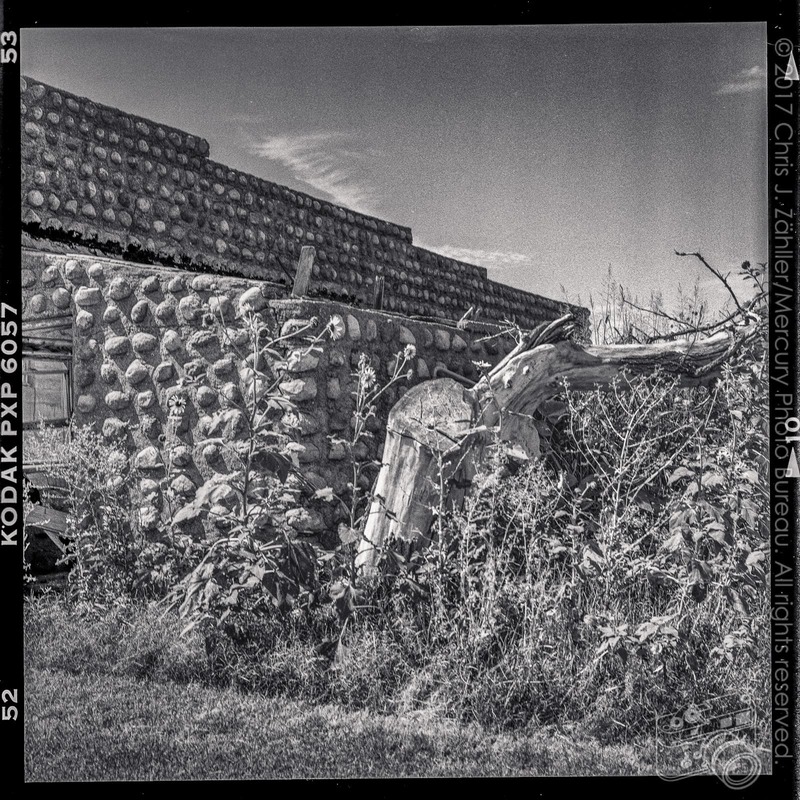 Abandoned Cobblestone General Store in Mountain View Oklahoma. It was built from red gran­ite cob­ble­stone from nearby Medicine Park.